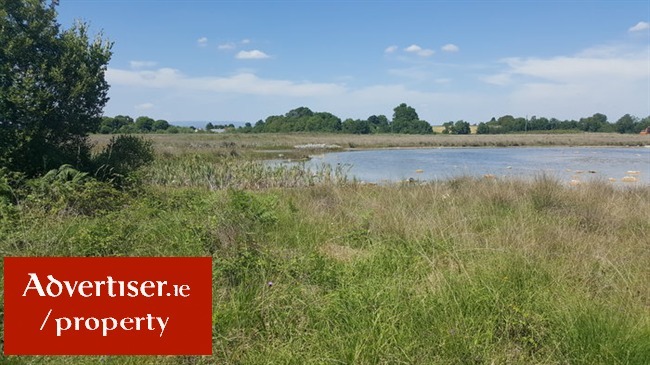 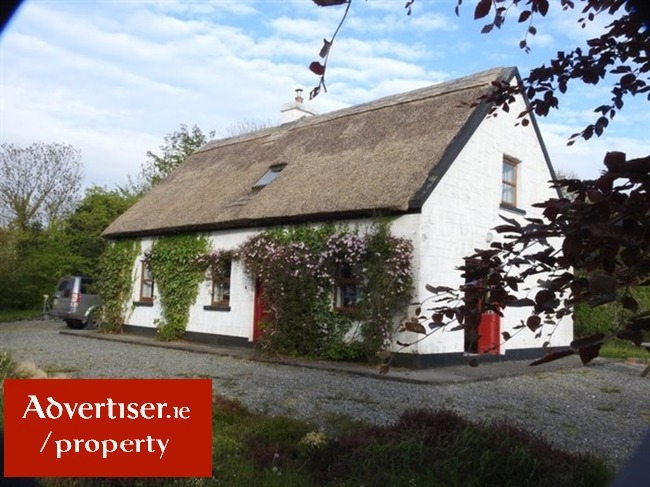 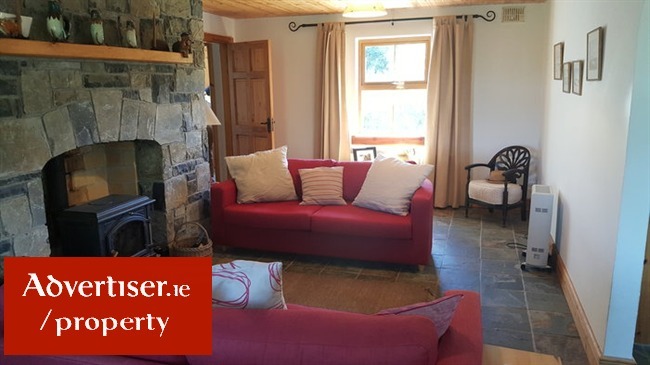 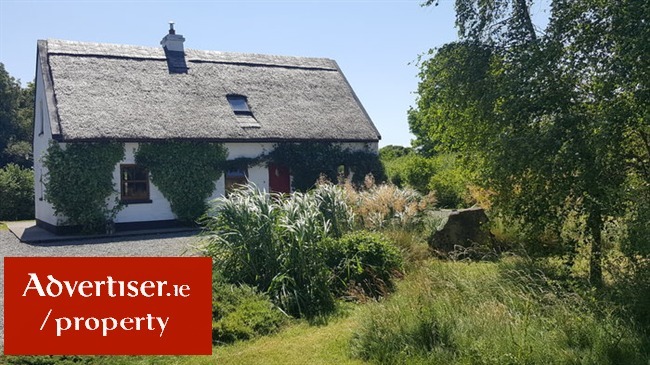 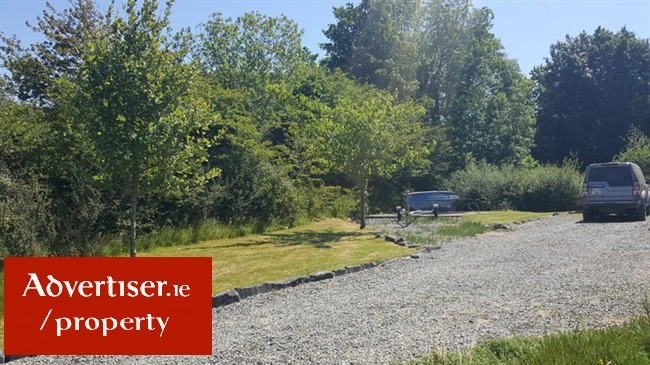 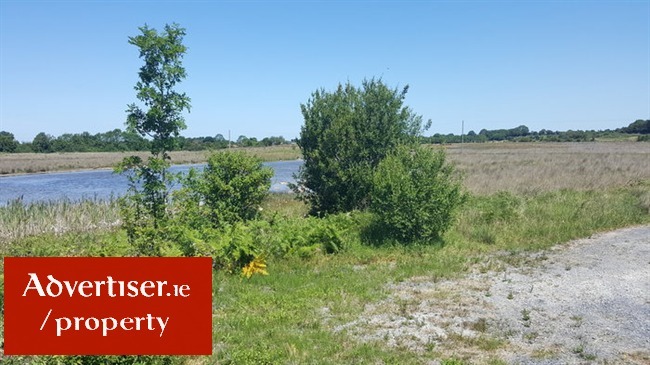 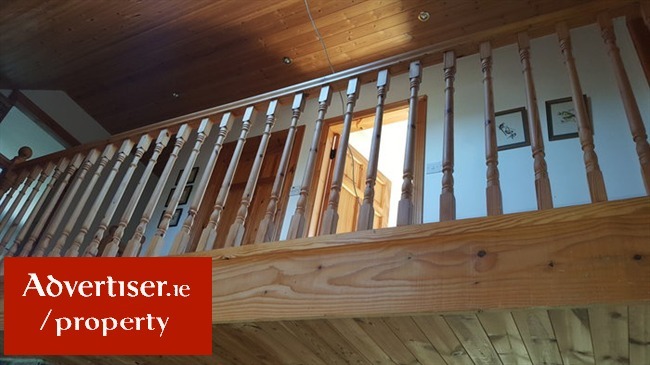 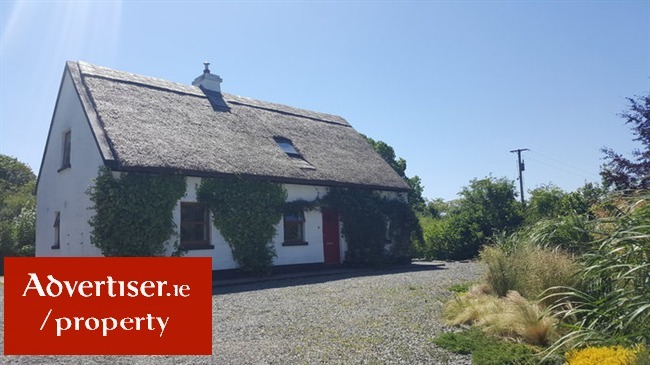 We are delighted to bring to the market this beautifully appointed 3 bedroom thatch residence set in peaceful tranquil surroundings in pristine walk in condition at Ballycurrin, Headford, Co. Galway. 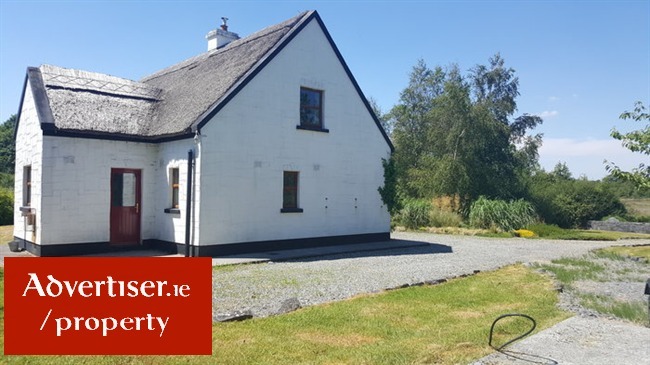 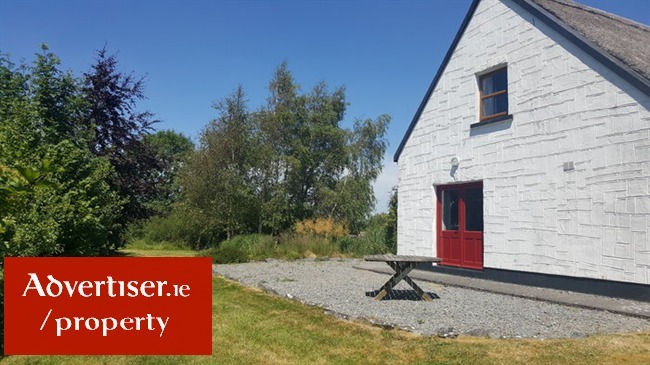 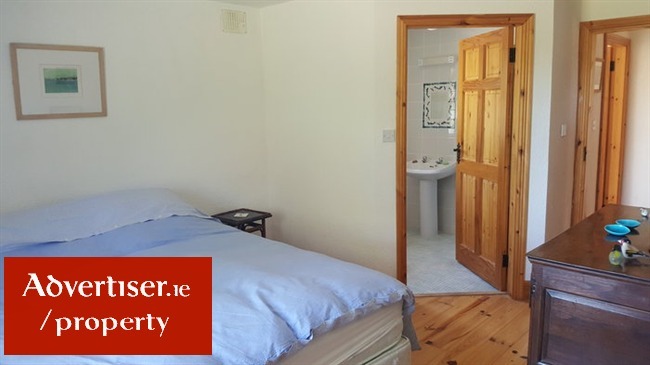 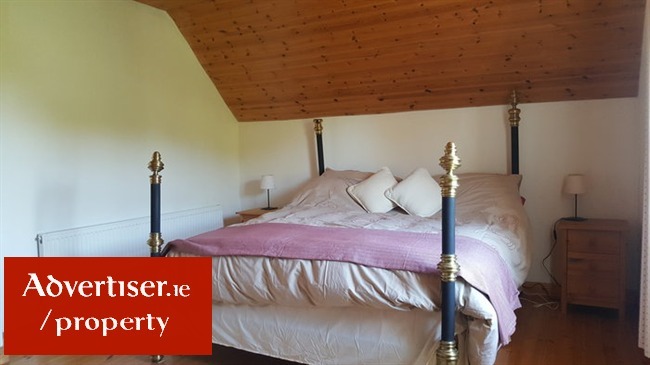 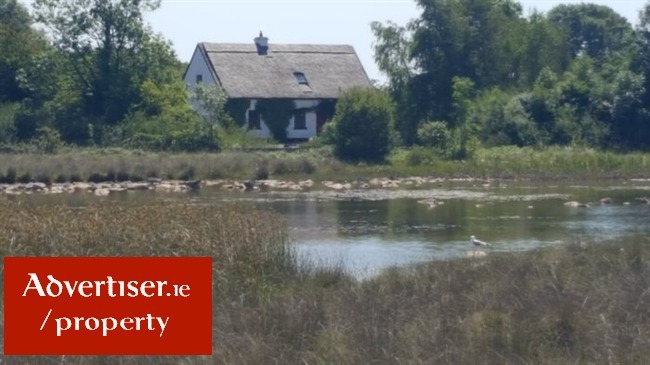 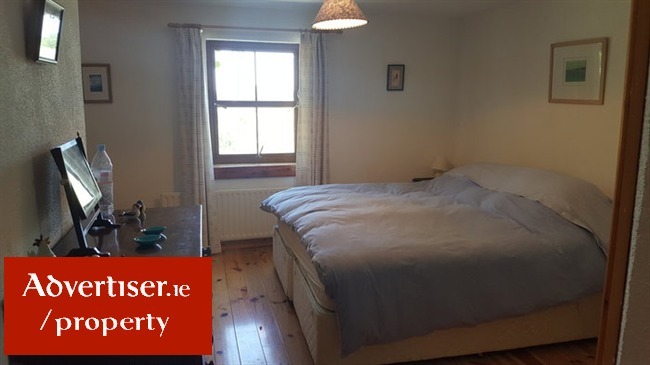 The residence is located 4.5 miles from Headford town and is within a short distance of the shores of Lough Corrib at Ballycurrin light House. 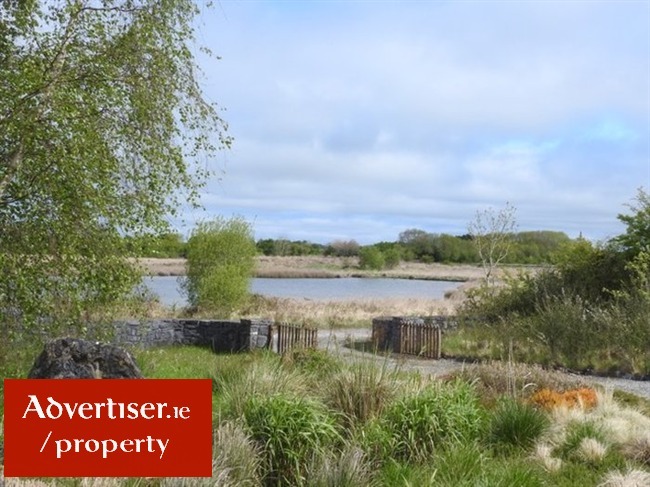 Ballynalty Bay and Greenfields. 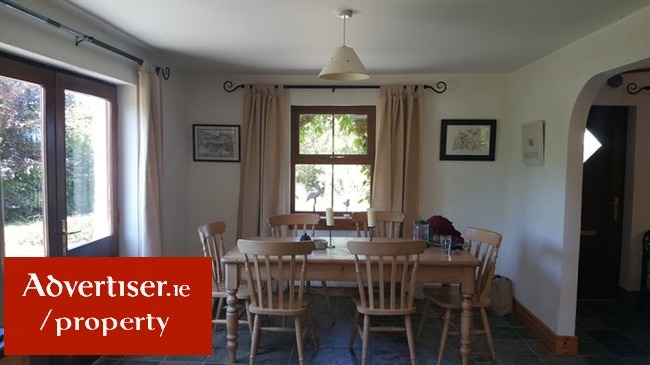 The residence is set on an enclosed mature 1 acre site. 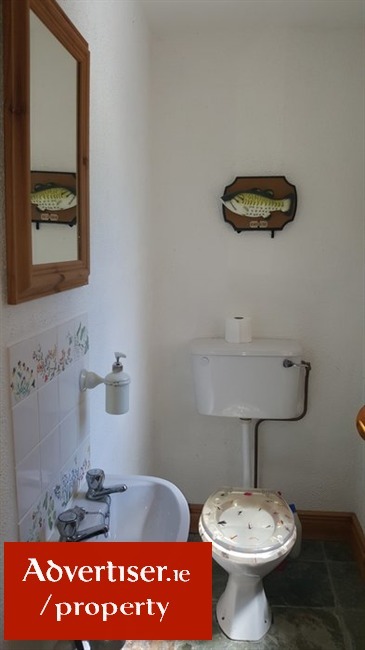 much of which remains in its natural state ideal for a garden enthusiast. 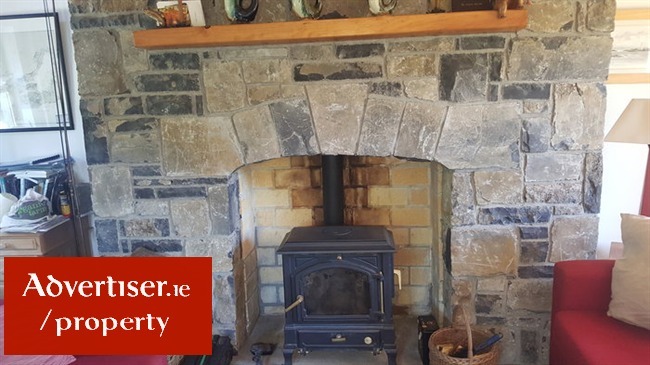 Ground floor accommodation includes; Spacious living room (25 sq Mt) with stone fireplace, solid fuel stove. 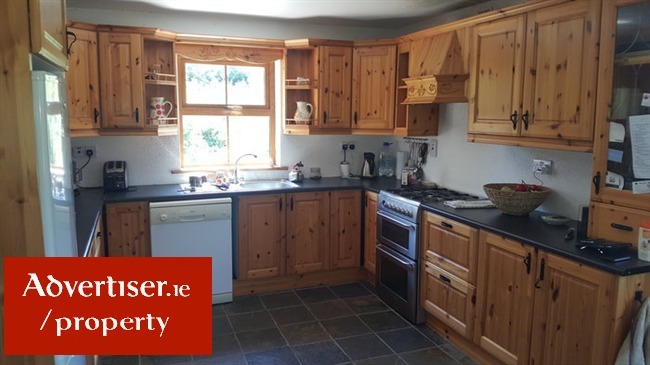 Kitchen/dining room, solid pine kitchen units, patio door to side garden. 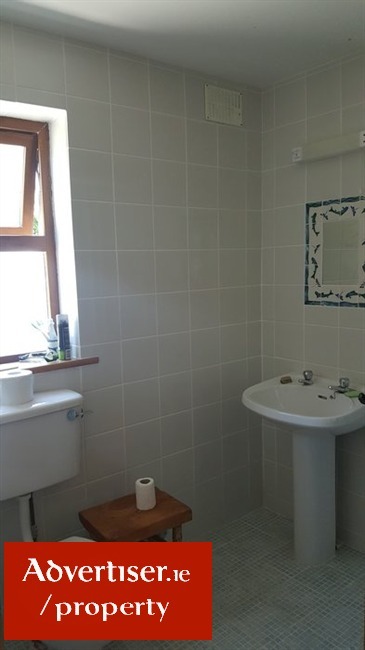 Utility room all with Chinese slate floor tiles. 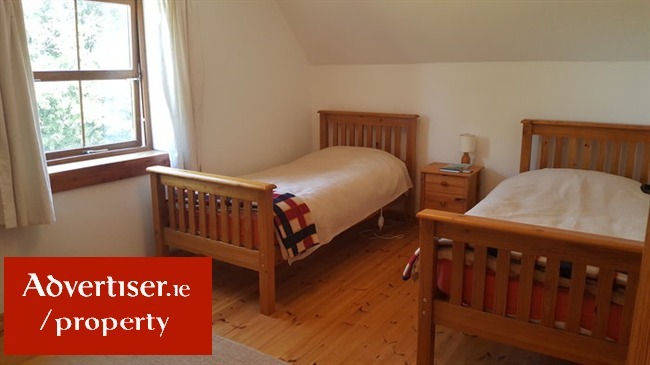 Spacious ground floor bedroom with en-suite. 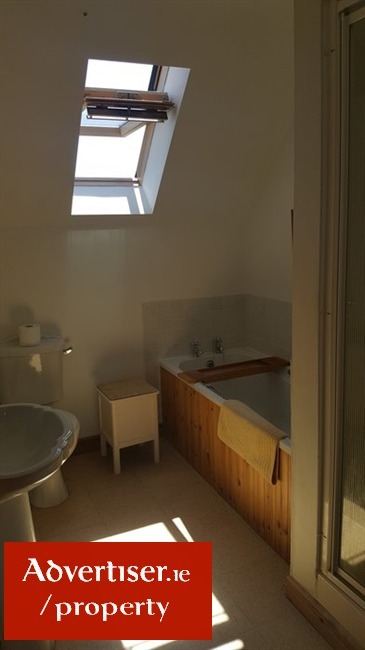 First floor; two spacious bedrooms,(doubles) fully fitted family bathroom with separate shower. 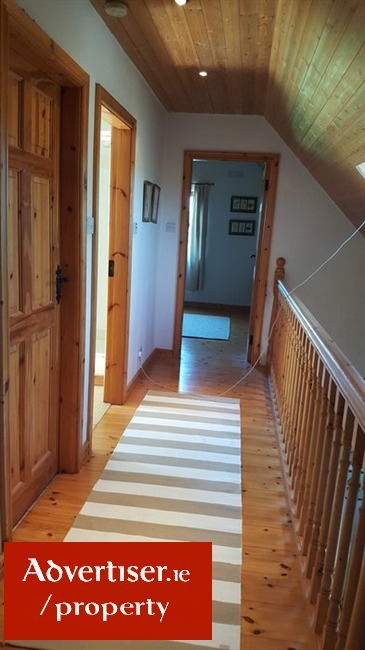 Walk in hot press. 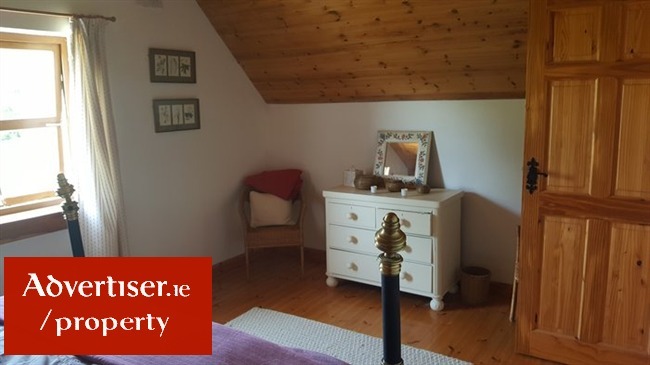 Spacious landing area, first floor, finished with red deal timber floors and pine timber to ceilings.